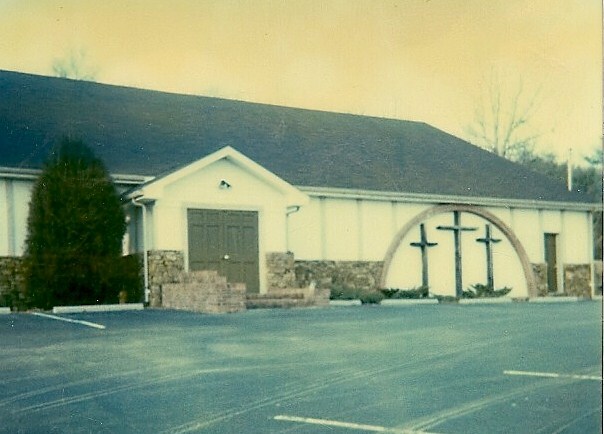 The history of Trinity Assembly of God of Shepherdsville begins in the 1960s. Pastor W. Rogers of Evangel Tabernacle purchased the property at 2120 Raymond Rd. and Pastor Johnny Hawthorne, from Oklahoma, was sent to be the first Pastor. He worked extremely hard clearing the hillside on Raymond Road in order to build the original building. Anita King (Duff) read about the church plant in the Evangel bulletin and realized the new church was only a block away from her Shepherdsville home. She walked down to the church property and introduced herself to Pastor Hawthorne and said, “This is my new church”. Services were held in the building before it was actually completed. The early members were excited to meet on dirt floors because they knew God had plans for their community. The name “Trinity” was selected in order to distinguish this new work from several “oneness” churches already in the area. Pastor Jody Hendrix became the pastor after Bro. Hawthorne. Later, Pastor Jack Carroll took the office at Trinity. He saw the church through many difficult times through the 70’s and early 80’s. Pastor Carroll had a very strong bus ministry and is still highly respected in the community. 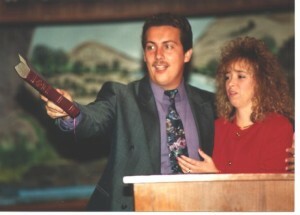 For a short period, Larry Dock was Pastor until 1990. On the last Sunday morning in February 1991, a young and ambitious evangelist, Pastor James A. McFadden along with his wife Brenda, took their place as the new pastors of Trinity Assembly of God. They faced many struggles and difficulties, but still the church grew to having two services every Sunday morning. The church decided it was time to build a larger facility that could reach more of the Shepherdsville community. They acquired property on the main highway through the city and broke ground in 2001. The first service in the new $2 million facility was held on the New Year’s Eve of 2002. The new beginning called for a new name, Trinity Life Center. Pastor McFadden continues to lead the members of TLC with great enthusiasm and an uncompromising faith and yieldedness to the moving and the giftings of the Holy Spirit. At Trinity Life Center, we believe that everybody needs a little TLC. Read more about our pastors, our beliefs, and our mission.